Huntington Mayor Steve Williams speaks to City Council. Last week, tensions over the issue came to a head when members of the police and fire departments reached out to the media claiming the city planned to lay off dozens of employees in each department. But that's something neither the city nor the two departments say they want to see. Williams updated the city council at their regular meeting Monday night. "We have met constantly with them since Thursday, we’ve had a constant back and forth of information to try to identify what more can we do," Williams said. He says progress is slowly being made as he works with Police Chief Joe Ciccarelli and interim Fire Chief Jan Rader on revised department budgets. Ray Canafax is the President of IAAF Local 289, the union that represents Huntington firefighters. He says it was important to hear the mayor say that he wants to do everything he can to avoid layoffs. "It feels a little bit better, it was good to hear what the mayor said in their tonight about not wanting to put this on the backs of the employees," Canafax said. "He indicated or at least it seems he indicated that he wants to do everything possible to avoid layoffs or anything like that, those are our biggest concerns right now." Brian Lucas is the President of the Fraternal Order of Police Gold Star 65. He says he’s optimistic after hearing the mayor say that a little progress has been made. "Public governments, most essential function is to provide for the safety of the citizens," Lucas said. "Patching potholes is good, fixing sidewalks is good and I’m not knocking that cause we need to do that when we can, we absolutely need to do that. 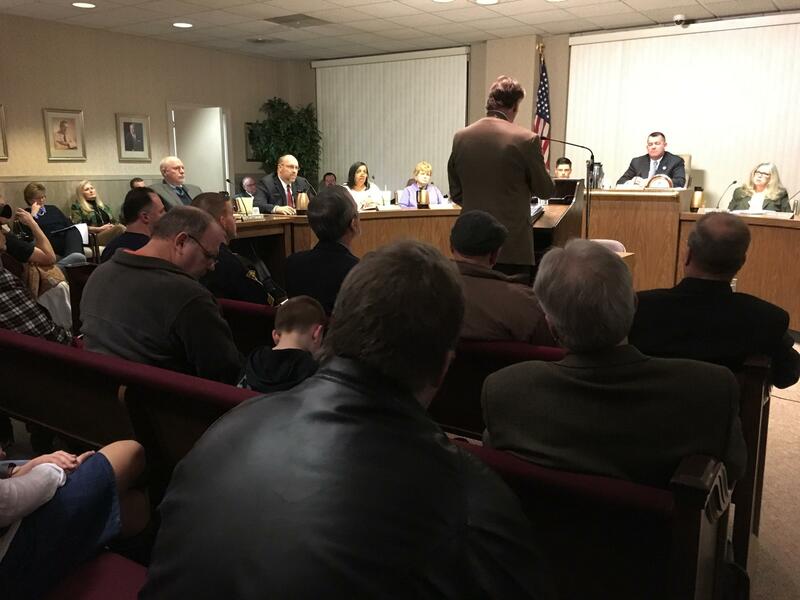 But if you can’t provide basic fire and police protection for the citizens of Huntington then that’s a failure." While Williams made his opposition to lay-offs clear Monday night, he has also said he does not support increased fees to support the departments. The next regularly scheduled city council meeting is on Monday February 6th. On West Virginia Morning, Clark Davis reports from Huntington where woodworking is part of a new hub for training and opportunity. Also, two students at the Reed College of Media at West Virginia University reports on the water quality of a stream in Taylor County that’s affected by a nearby coal mine. On West Virginia Morning, the state's Poet Laureate Marc Harshman reads poetry by Appalachian poet Robert Morgan. And Clark Davis reports about a local storytelling website in Huntington. These stories coming up on West Virginia Morning from West Virginia Public Broadcasting - telling West Virginia's story.